Move over Kim Kardashian – there’s a new Kim in town. 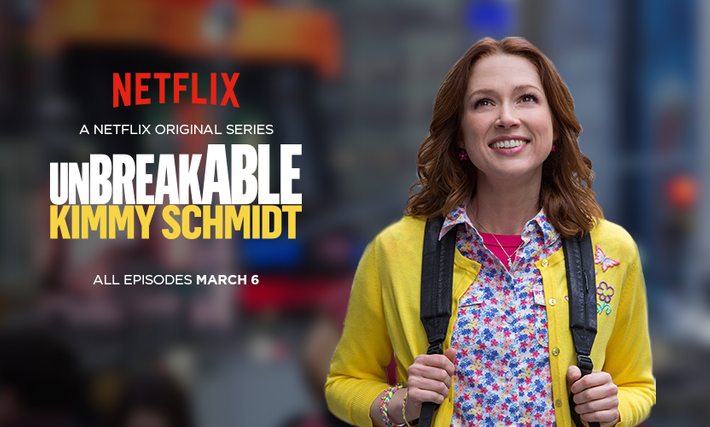 Or should I say Kimmy as in Kimmy Schmidt, the main character in the new comedy series ‘Unbreakable Kimmy Schmidt’. A show created and intended for NBC but distributed by Netflix instead. Right about the time the Kardashian star was attempting to ‘break the internet’ with her derriere, Netflix was working on acquiring the rights for ‘Unbreakable’ after NBC decided not to air it. The negotiation for ‘Unbreakable’ has turned out to be an important moment in OTT history, one that could possibly pave the way for premium content. In equal parts due to timing and original content, the show ended up going gangbusters – spelling out a potential bright future for content distributors. On the surface there are a couple aspects about the show that ended up going viral or very near to it. The first being the exclusive rights for a never-before-aired television series sold to Netflix. The show itself, produced by the hilarious Tina Fey and Robert Carlock, is downright funny, even if a bit off-color for NBC. But there was an issue with timing by airing the series on the traditional NBC network. Significant heavy hitters in the realm of serial drama were sucking up all the prime time slots – everything from The Blacklist to The Night Shift. What to do with a great show but no place to put it? Netflix was poised and ready to pick up ‘Unbreakable’ the moment an opportunity presented itself. Ted Sarandos, the Chief Content Officer of Netflix, had reportedly desired a show by Tina Fey for some time and thought that the show could be a major success for the service. Having such a foreseeably popular show from one of comedy’s best-loved showrunners is a considerable boon for the biggest on-demand provider in the industry. The second interesting viral aspect of ‘Unbreakable’ was that the content of the show itself nearly broke the internet. Some thought the show refreshing and witty, others offensive, and in some cases racist, or dealing with ‘too dark themes’. And - the nature of the Internet being what it is - all of those opinions drove still more opinion and counter-opinion. Kimmy generated big buzz, and therefore for Netflix (and parenthetically for NBC too) was a content success. But the real unbreakable moment is what happens next. Not the fifteen minutes of (social) fame the show generated, or the way Netflix swooped in and gave Kimmy a home when it needed it most. It’s the fact that the comedy is free from a ratings model that has quashed shows as formidably funny as Arrested Development and Happy Endings, yet canceled because they couldn’t build an audience fast enough. The Netflix model gives Kimmy Schmidt time find her voice as well as time for the audience to discover her beyond the constraints of traditional TV programming. Traditionally the process of TV content distribution has been a somewhat static process. Studios negotiate which networks will have the distribution rights (when and for how long). But as is the case with the ‘Unbreakable Kimmy Schmidt’, the dam that has long held back premium content exclusively for traditional providers is beginning to crack. The Internet has leveled the broadcast playing field. Still, the key to success will be whether you can access the next big thing before Netflix does. You’ll need an ear to the ground, access to the studio system, and a thorough understanding of the rights landscape. 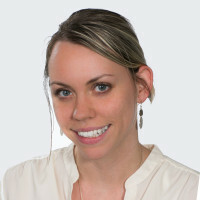 Plus, you’ll need to see where to add a mix of long tail content to your offering to target a couple of niche markets. Now is the ideal time for you to unbreak the internet and pave the way for a unique distribution service, chock full of must-have premium video content. Get on it.